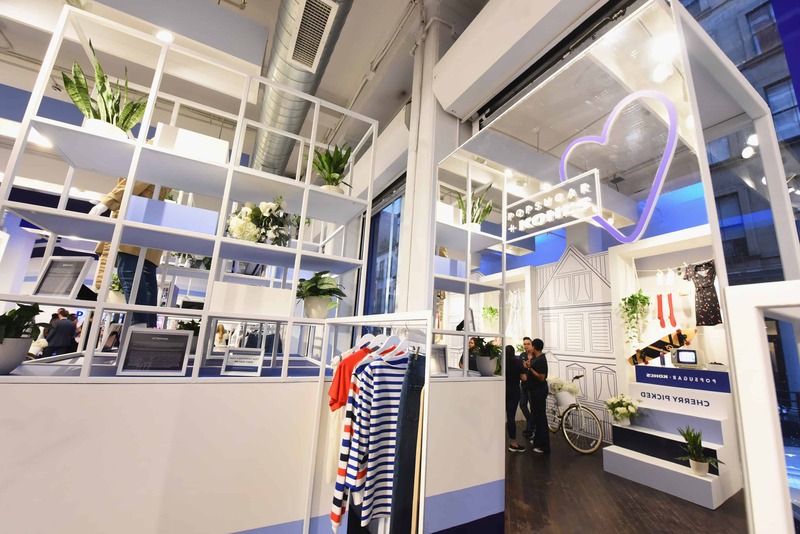 This week, POPSUGAR x Kohl’s launched their new collaboration collection at a special pop-up in Soho, and Lucy Hale was in attendance to ring in the first season. 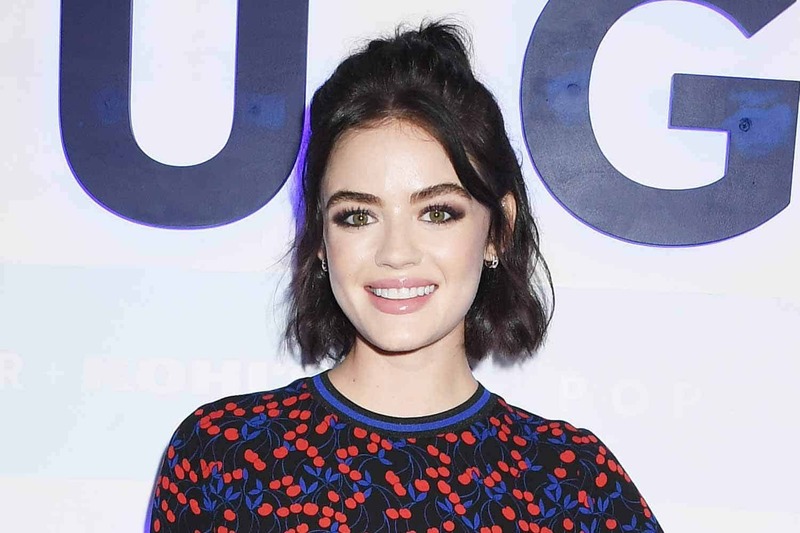 We sat down with the Pretty Little Lies star to discuss the line, her style, and what it means to truly disconnect. I do. Obviously this cherry dress that I’m wearing. Remember it was the style in the early 2000s. And now it’s back. But also there’s this long army green trench, which is very cool and reminds me of the Olsen twins in the best possible way. There are some really cute striped sweaters and striped tee shirts, which I love. I’m a fan of But also shirts, which I love. I’m a big fan of stripes. There’s a lot of really, really cute stuff. What’s so great about the line is they’re taking everything that’s current and cool and [making it accessible], like you can get stuff on a budget, but not skimp out on looking good, you know? How important do you think the accessibility of both the size and price are to the audience? worked really hard and we had very little [budget] for what we wanted to wear, and so I remember going to Kohl’s and you can still feel really good about yourself. Are there any characters you’ve played who you feel like inspired your personal style in any way? So obviously the role I’m most known for is Aria from Pretty Little Liars and although my style is not like hers, playing her and dressing up as her everyday for eight years, it proved to me in a way that made me want to make bold choices and not live within these fashion rules- there are no rules, basically! You create your own rules for who you are and your sense of style is obviously the biggest reflection of your personality. 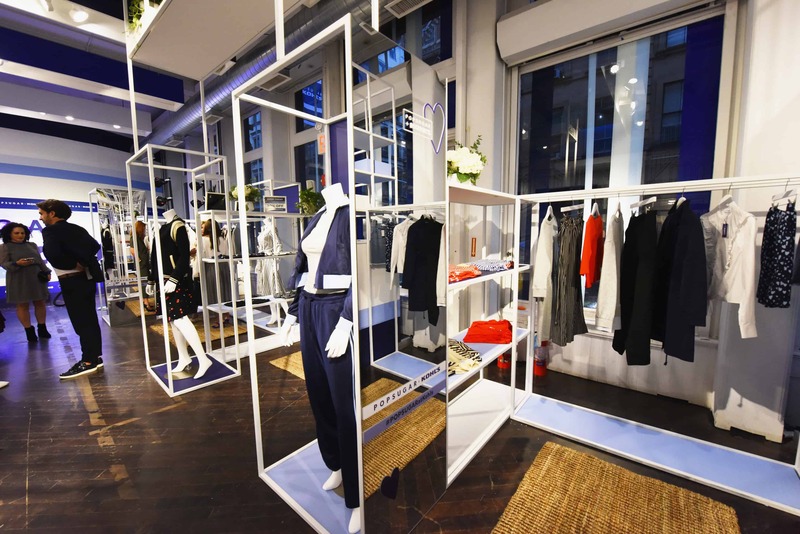 I used to be really timid about fashion, but just growing up in the business, and especially [Pretty Little Liars] in particular helped me to sort of take risks and not really care what anyone thought, whether it’s right or wrong. I don’t know it’s so hard because it changes, but right now I’m going through a big vintage phase, like I love the 70s, so I’m finding myself gravitating towards 70s silhouettes, patterns and colors. I’m trying to really brighten up my wardrobe a little bit because typically I wear a lot of blacks and whites and greys, but I’m trying to incorporate some color. But then there are some days where I wanna wake up and wear moto boots and a leather jacket cause I think I’m cool, you know? My style changes all the time! Obviously today I’m super cutesy, girly [in this dress], which usually is not me at all but I really liked this dress. In honor of us being at a POPSUGAR event, what’s your favorite form of sugar? Okay so one thing you should know about me is I love sugar. If I could only have sugar, I would be a happy girl. But I’m more of a sour candy person, so sour patch kids are my favorite. Okay no joke, and I have someone to attest to this, but I have a jar in my media room, with sour patch kids and the watermelon ones mixed together because all my friends like the watermelon the most, and I like the sour patch kids the most. Do you have any new projects we can look forward to? I have like three things I’m dying to talk about but they’re not released to the press yet so I can’t. But I’m so excited because people are just taking risks on me and letting me prove myself, which is super exciting. Hopefully by the end of the year I can talk about cause I am really excited, but I took a little bit of time off which was nice and I took the time to be really picky about what I wanted to do next so I was really ready to get back to work. On that note, how important would you say it is taking that time for yourself? It’s go go go! And the worst part is we’re always on our phone, even when we’re resting, even when I’m like “Oh I’m going to bed” I’m not going to bed, I’m on my phone! So we’re always going, our brain is always going and obviously I love being busy and I love being productive, but it’s so equally as important to take the time for yourself. It’s different for everyone, but for me it’s those moments of not having my phone, or on a light taking a nap, or at night taking a bath, cause we do live in a world where we’re all extremely busy so it’s taking an hour a day, whatever it is to go to yoga, do whatever it is for you. What’s your favorite way to disconnect? I want to say binge watching a Netflix show, which is very relaxing for me, but I love a good workout. I’ve grown to really appreciate it because you don’t have your phone. It’s really important, working out is self love, to me, in the best way because it’s just as much mental as it is physical, so I can kill two birds with one stone.